According to the New York Times, the only two countries that conduct invasive research on chimpanzees are the central African nation of Gabon and the United States. Animal protection organizations (including the Humane Society, the Jane Goodall Institute and the Wildlife Conservation Society) have petitioned the Fish and Wildlife Service to list captive chimpanzees as endangered in an effort to stop research on chimpanzees in the United States. On the other hand, those against testing on chimpanzees argue that the testing is expensive and subjects the chimpanzees to painful procedures and isolation. They argue that there are better alternatives that can save taxpayers millions of dollars per year. 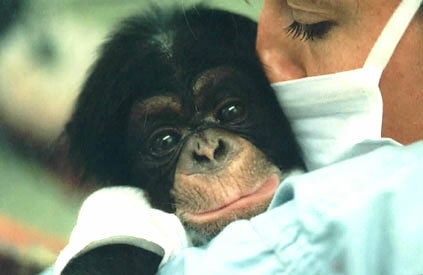 The FWS will make a decision as to whether the chimpanzees will be listed as an endangered species next September.